Remember the original Age of Empires game series (no, not the "bad" third part)? The real-time strategy game back then was well received by many players thanks to its setting and game mechanics. 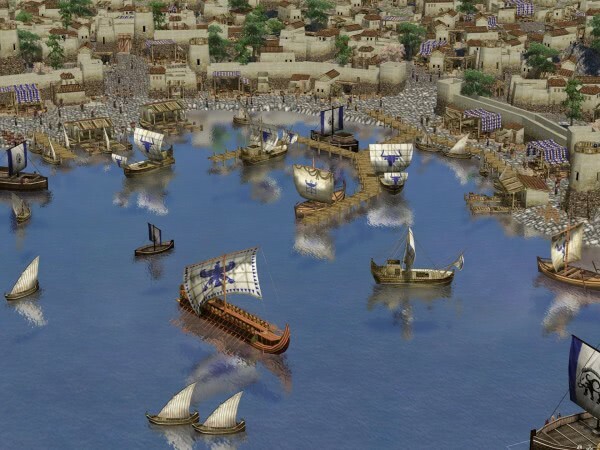 The 0 A.D. project by Wildfire Games looks and feels in many regards like the first two classic Age of Empires games. You start with a civilization, e.g. the Romans, Carthage, Hellenic States or the Persian Empire and control it from around 500 B.C. to 1 B.C. Players usually start with a small village where they can build civilian units (all female by the way) that can gather resources, hunt and build additional structures. The game uses food, wood, stone and metal as resources, and one of the first task is to secure those resources. Most male units are warriors. They can however be used to gather resources as well which is a very interesting idea as it allows the players to build protection and use the units for civilian tasks in the beginning. They can in additions build military structures like harbors, walls and towers to protect and expand the civilization. Buildings include farms to produce additional food, houses to raise the population limit or mills that workers can unload resources into. Some buildings will be unique to specific civilizations which adds to the re-playability of the game. Audio-visuals are surprisingly good in this Open Source game. The music plays along nicely and the graphics engine, while not comparable to today's commercial games, has definitely something going for it. The developers have released an alpha version of 0 A.D. which means that the game is far from being complete. This in fact is the biggest issue that I have with it considering that development began in 2003. New releases seem to be more frequent in recent times though which is a good sign that we will eventually see a beta and then final release of the 0 A.D. game. The developers plan to integrate a campaign into the game. For now, it is only possible to play single maps against the computer or other human opponents. The selection of maps is quite large. 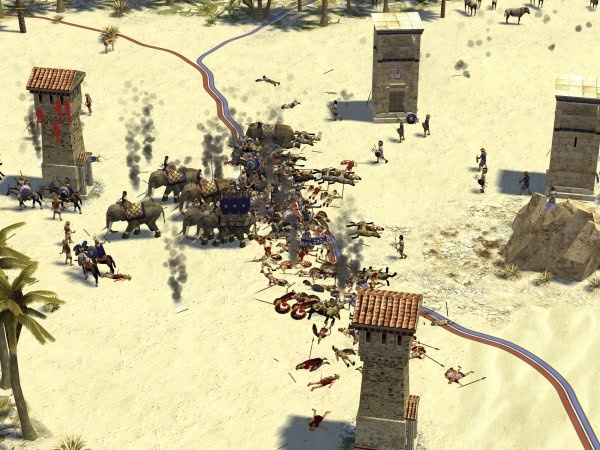 0 A.D. shows a lot of prospect, especially for gamers who loved the first two Age of Empires games. The current version of the open source game can be downloaded from the official project website. It is available for Windows, Mac and Linux operating systems. Thanks for letting us know about this Martin. I really enjoyed AOE I and II, and will now keep an eye on this project. I hope it reaches beta soon. I also enjoyed playing AoE 1 and 2, but not the third part. Oh, and Age of Mythology was nice as well. Looks interesting, I definitely will play it when it goes on retail. BTW, I love AoE 3! Best one in the series.